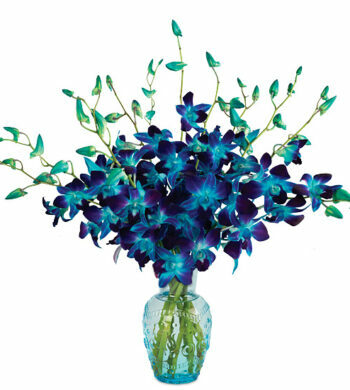 Resembling a sky full of fireworks set aglow in celebration and remembrance, this breathtaking bouquet is the perfect choice for July 4th décor or gifting. 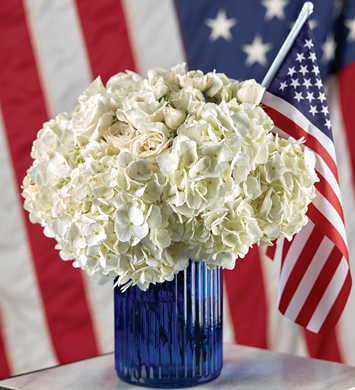 It pairs billowy white hydrangeas with pristine white majolica spray roses, the stems erupting from our patriotic blue, ridged glass vase. 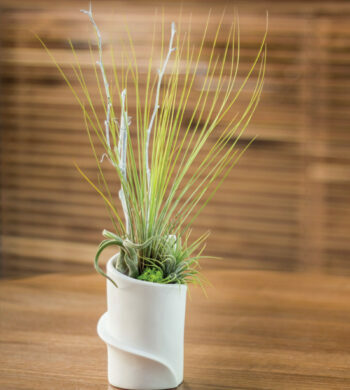 A miniature United States flag adds the perfect prideful touch.